Alongside the new YZF-R125, Yamaha has just launched the new MT-125. It’s a naked, roadster version of the eighth-litre sports bike R125, using the same chassis, suspension, brakes and engine. 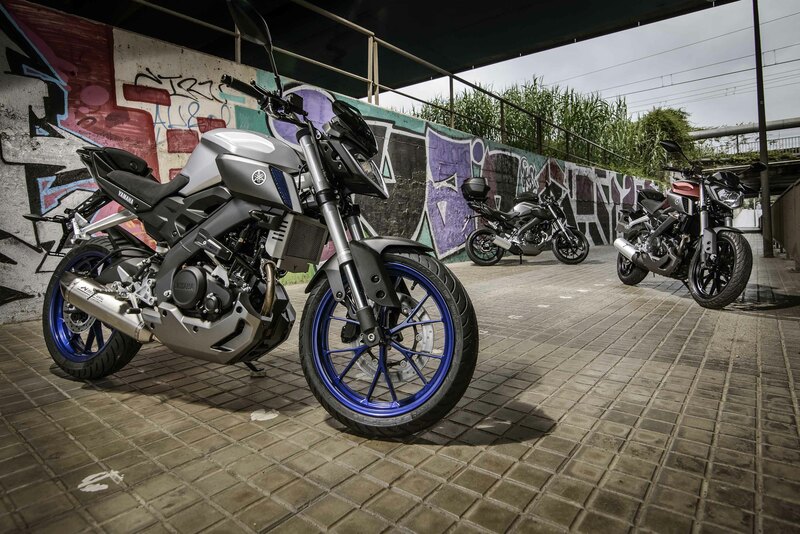 The Yamaha MT-125 – cool as chips. What’s different then? Well the MT-125 is actually 2kg lighter, thanks to the minimalist bodywork. The upright riding position works great around town and, most importantly, makes it easier to do wheelies. If anyone tries to tell you doing wheelies on a four-stroke 125cc sports bike is impossible, they’re wrong. 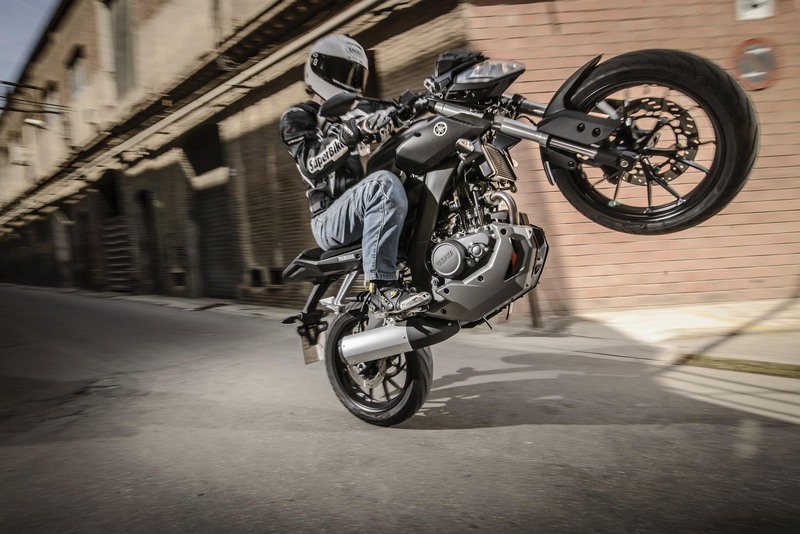 We had a ball stunting around on the MT-125 and it’ll give any 17-year-old or new biker the perfect grounding in one-wheel shenanigans. Less focused than the R125, there’s a huge range of accessories available to turn the MT-125 into a mini-tourer with luggage. The MT will be available in August, price is to be confirmed but it will cost less than £4k.